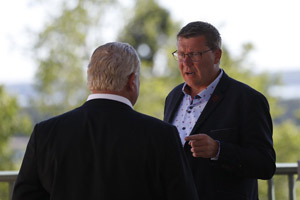 Premiers remain focused on protecting public health and safety and reducing the illicit market as the legalization of cannabis by the federal government proceeds in Canada. 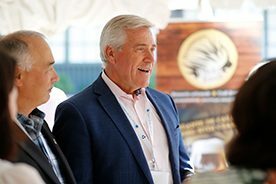 Premiers are committed to supporting an effective transition towards cannabis legalization and will continue to collaborate and share information to achieve this goal. Provinces and Territories have made considerable progress in developing cannabis distribution, retail and oversight mechanisms under very tight federal timelines. 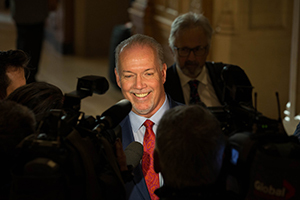 Provinces and territories are responsible for significant aspects of this complex undertaking and are incurring substantial costs as a direct result of the federal government’s decision. Ensure full flexibility for provincial and territorial governments to design appropriate age-verification mechanisms for online promotions, sales, and retail models that fit specific provincial/territorial circumstances, including remoteness. 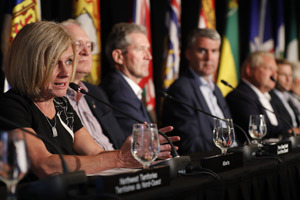 Premiers discussed the increased number of individuals crossing the border outside of regular ports of entry, and how this has put pressure on shelters, housing, education, health care, language training and other support services in impacted jurisdictions. 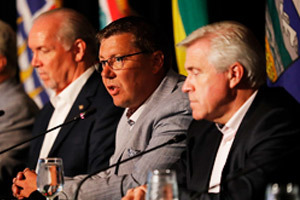 Premiers call on the federal government to provide full compensation to affected provinces for the costs incurred. They also urged the federal government to make the necessary investments to ensure the timely adjudication of refugee claimant hearings and expedited processing of all immigration applications into Canada.